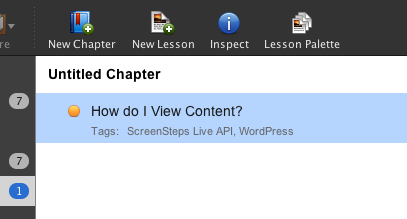 This lesson will show you how to add existing lessons to manuals using the Lesson Palette. This is a very fast way of assembling topics from existing lessons. 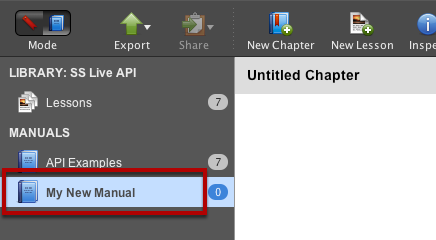 Create a new manual and select it. 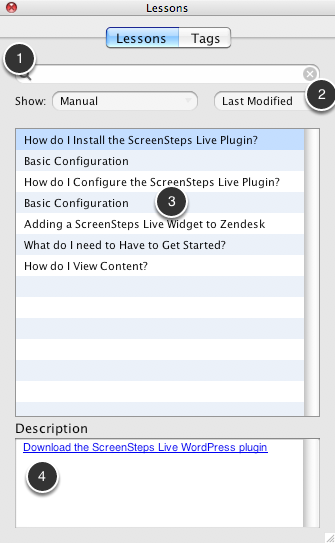 Select View > Show Lesson Palette. The Lesson Palette displays all of the lessons in the current library. You can search (1) and sort (2) lessons. The lessons will be displayed in a list (3). The description for the selected lesson will be displayed below (4). Just drag lessons onto a chapter to add them. Here I have added a single lesson to the "Getting Started" chapter. Repeat the process, adding additional lessons to your manual. 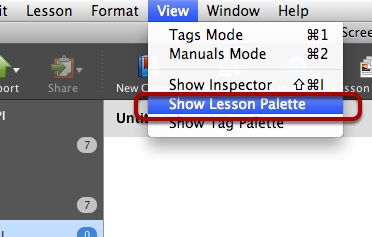 Tip: You can also drag lessons from the Lesson Palette onto Tags. 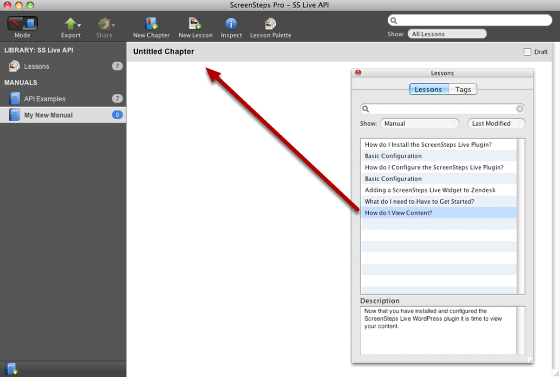 Next: What are Draft Chapters?